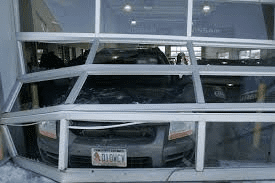 Garage Door Accidents: If It Happened, We Can Fix It! 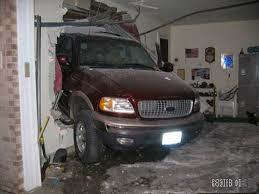 Garage door accidents are not very common but they do happen. Whether you or a family member experienced an accident like the ones portrayed below, don’t panic! 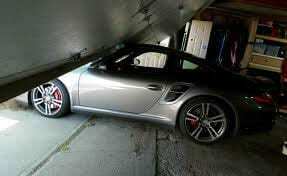 Action Garage Door specialists are trained and equipped to repair and restore you garage even after the worst cases. 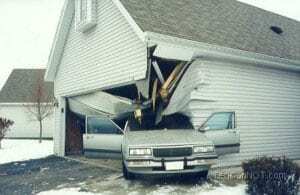 In order to prevent similar scenarios make sure you follow the garage door safety essentials and regulations of your community. Contact us online for more information about garage door repairs or restorations after an accident or call the location nearest you. In Dallas-Fort Worth and surrounding Texas cities, call 972-299-8980 or 817-633-3119. In Austin TX area cities, call 512-213-4905. In Houston and surrounding communities, call 713-766-3422.